Hiring a lawyer shouldn’t be a hassle. You can get excellent representation close to home. Attorney at law Wm Thurmond Bishop has worked as a personal injury lawyer, criminal defense attorney, and bankruptcy attorney in Greenwood, SC for over 43 years. During that time, countless clients from Abbeville, McCormick, and the Lakelands area have trusted our law office to serve them during their time of need. Our services are available for many types of cases. Our personal injury practice helps people who have been hurt on the job. Our real estate offerings are available for closings, foreclosures, and other dealings. As a South Carolina bankruptcy attorney, Mr. Bishop helps people navigate the process of filing for Chapter 7 and Chapter 13 bankruptcies.  We represent people in family law cases, including those going through divorce, negotiating alimony, child custody, child support, distribution of property, and division of debt. Our criminal law practice helps those charged with all types of crimes. Finally, our wills, probate, and estate planning department will protect your assets and your family after you’re gone. We look forward to serving you. Contact our office to learn more about any of the legal services we offer. We’ll answer any of your questions and will be happy to schedule an initial consultation to discuss your case.